The seventh hole on my home course is a 125-yard par 3. 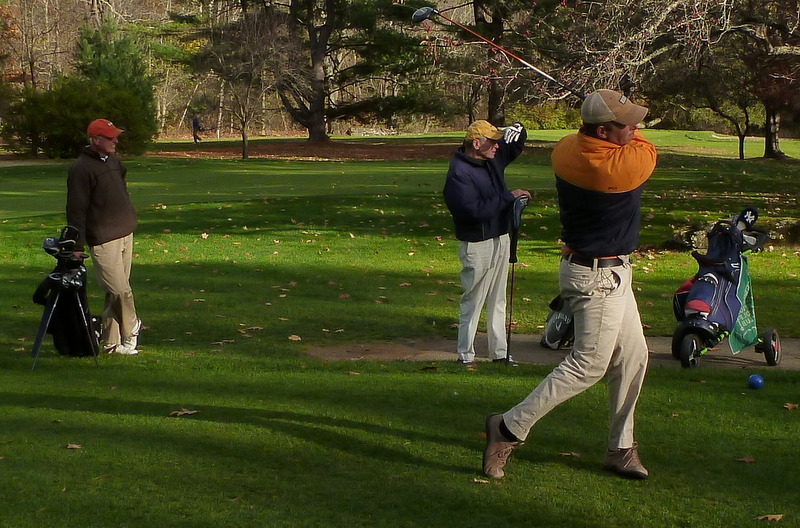 I hit 9-iron the other day, and I took a divot that was just about perfect—uniform depth, playing-card size and shape—except that it began a couple of inches behind the ball and extended a couple of inches beyond it. In addition, my tee peg (a half-length stub I’d found nearby) remained upright near the center of it, untouched. Even so, my ball finished just twenty yards short of the green, meaning that I’d hit what was essentially a 90-yard explosion shot. And they say the long bunker shot is the toughest shot in golf. 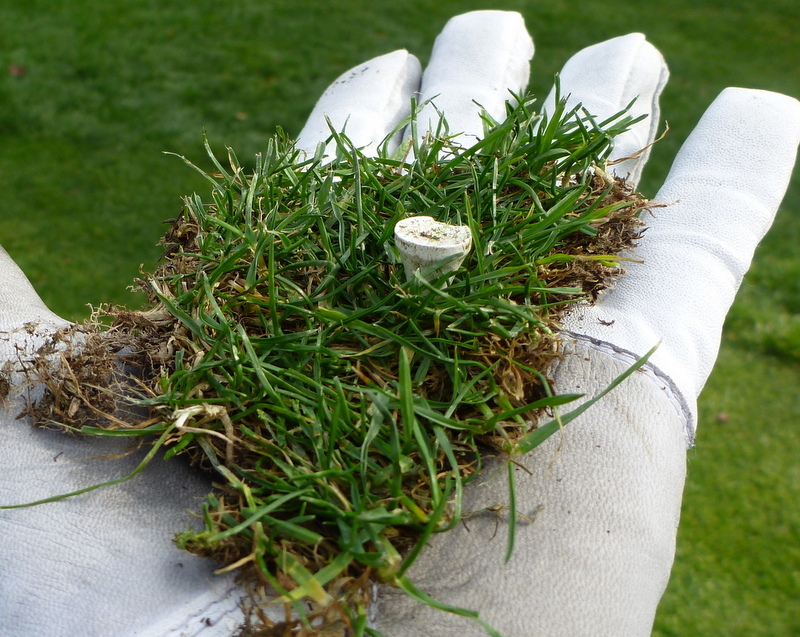 I saw a bowl of McDivots on the counter in the golf shop at Royal Portrush Golf Club a few years ago, and one of the assistants told me that using them prevents wind, rain, mowers, and crows from flipping replaced divots out of their holes. 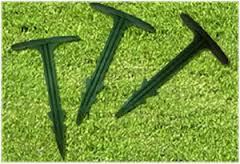 (The same company also makes an industrial-size version, called GreenStakes, which can be used to hold down entire fairways.) I took a McDivot home as a souvenir, and displayed it on my desk for several years. At some point, though, I must have thrown it out, because I just spent almost an hour unsuccessfully searching for it in my office. So the photo above, which is from the McDivot website, will have to do. This entry was posted in Accessories, Golf Courses, Ireland, Weather and tagged Royal Portrush by David Owen. Bookmark the permalink.